This article is a work in progress. More information may be added as I conduct more research. 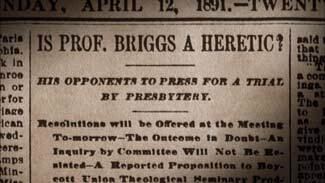 As it stands now, this modest article is a very brief history of the Christian fundamentalist movement in the late 19th and early 20th centuries. In this article, I’ll very briefly outline what historic fundamentalism is; specifically American fundamentalism. I cannot hope to discuss the genesis of the movement in a comprehensive fashion here, but hopefully it is helpful to the fundamentalist community at large, both as an all-too brief summary introduction to the movement or as a refresher to faithful warriors still on the field of battle! This material will be old-hat to many of you. Some may never even read it because it may tread the same ground you’ve trod many times before. I believe it is important, however, to remind ourselves of how fundamentalism started, and visit old battlefields of the past periodically. We cannot understand our movement unless we grasp how it all began. This is the first in a three part series examining, in sequence, (1) the historic roots of fundamentalism, (2) the historic roots of evangelicalism and (3) the idea of secondary separation. Just what in the world is fundamentalism? Numerous authors have provided their own definitions throughout the years. “A fundamentalist is an evangelical who is angry about something. That seems simple and is fairly accurate. . . . A more precise statement of the same point is that an American fundamentalist is an evangelical who is militant in opposition to liberal theology in the churches or to changes in cultural values or mores, such as those associated with ‘secular humanism.’ In either the long or the short definitions, fundamentalists are a subtype of evangelicals and militancy is crucial to their outlook. Fundamentalists are not just religious conservatives; they are conservatives who are willing to take a stand and to fight,” (4). 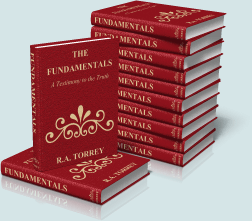 “Fundamentalism represents a resurgence of ancient practices, which began not with Martin Luther but at Pentecost. Fundamentalism is apostolic, and the doctrine of justification goes back to Paul. That branch from which the fundamentalist movement sprang lived obscurely through the ages and had never been completely silenced even in the Dark Ages. . . . What fundamentalism did was to awaken the slumbering apostolicism from lethargy. The theme of the Reformation, like the cry of the fundamentalists today, was ‘back to the Bible and the Apostles,’ with no mediator between men and God except Christ. Fundamentalists are in the direct line of succession to those preaching this same message (2-3). “Ideally, a Christian Fundamentalist is one who desires to reach out in love and compassion to people, believes and defends the whole Bible as the absolute, inerrant, and authoritative Word of God, and stands committed to the doctrine and practice of holiness. . . . Fundamentalism is not a philosophy of Christianity, or is it essentially an interpretation of the Scriptures. It is not even a mere literal exposition of the Bible. The essence of Fundamentalism goes much deeper than that – it is the unqualified acceptance of and obedience to the Scriptures” (3). Fundamentalism is not denominational centric. It is authentic and historic Christianity in action. Theological liberals may scoff and sneer at this “quaint” theology, but forget they have departed from historic Christian traditions. Beale quoted an opponent of fundamentalism as stating, “fundamentalism is . . . survival of a theology which was once universally held by all Christians . . . The Fundamentalist may be wrong; I think that he is. But it is we who have departed from the tradition, not he (4). 1. Philosophers began to elevate reason and materialism above the objective revelation of the Bible. Where it had once been considered the handmaiden of theology, philosophy now began to stand in opposition to Scripture. 3. Historical and literary criticism as systems began to reinterpret traditional Christianity by the new parameters of the Enlightenment. 4. 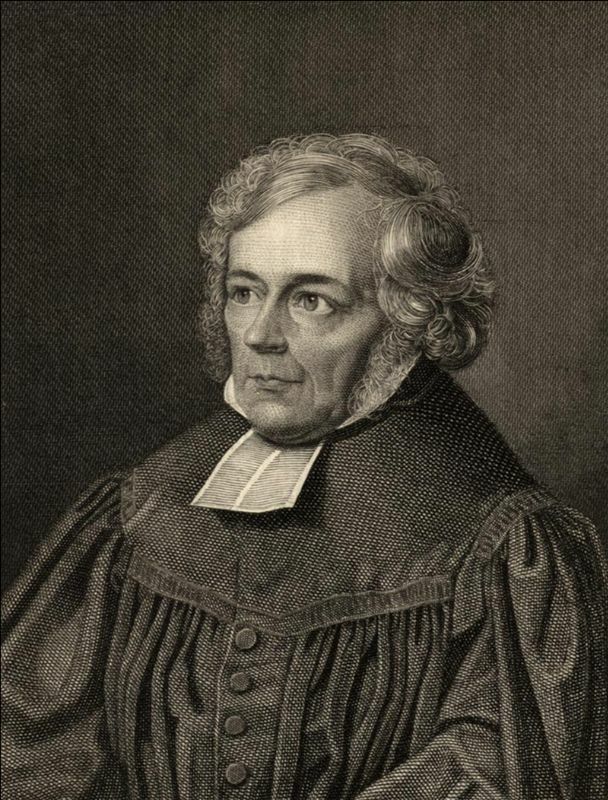 Higher criticism, typified by the works of Friedrich Schleiermacher, sought to re-interpret Scripture. There was a distinct emphasis on humanism, elevating man rather than God. Revelation was “not an in-breaking of God, but an upsurging of divine humanity (Schleiermacher 50). Religion was not an objective truth, but more of a subjective feeling. Religion is an immediate, or original, experience of the self-consciousness in the form of feeling. It is immediate, in that it is not derived from any other experience or exercise of the mind, but is inseparable from self-consciousness; and it is feeling, in that it is subjective experience and not objective idea, and in this respect it is identical with the self-consciousness, Religion is not an act of knowledge nor the result of a process of knowing. If it were the former, its source would lie in human activity. If it were the latter, its content would be doctrine, dependent upon prior processes of the intellect, and subject to all the uncertainties which pertain to scientific investigation. The measure of knowledge would be the measure of piety; religion would be a mere acquirement or possession and no essential element of human nature . . . Religion, then, as consisting in feeling, denotes a state of our being, and hence in religion man is not primarily active but receptive (Theology 119-120). Under such pressure, Christian doctrine was adjusted in some denominations to accommodate the conclusions of science (thus ruling out creation), philosophy and criticism. Orthodox Christian were alarmed at this onslaught against precious Biblical truths. It was into this theological abyss that “fundamentalism” was born. It was an orthodox, Biblical reaction to distinctly un-Biblical theology. The way fundamentalists react to this liberal theology, both historically and currently, adds another two other distinctive aspects to the five historic points above – militant and separatist. “It’s common basis is a set of biblical doctrines and beliefs, and its esprit is principally its militant separatism. Fundamentalism is a movement, not an attitude of belligerence, ugliness, or a negative mentality as often depicted” (McCune 16). As theological liberalism made inroads into orthodox seminaries and mainline denominations, an inevitable conflict arose between those who advocated the “new thought” coming out of Europe and those who resisted such change and stuck to Biblical orthodoxy. McCune is careful to observe this was not merely a clash with secular culture; “the controversy concerned the truth-claims and belief-system of fundamental Christianity versus an essentially new religion. It was a fight over the retention and control of denominations, mission agencies, colleges, and seminaries” (18). Prior to 1930, Fundamentalists practiced Biblical separation by attempting to purge their denominations of liberal theology; they tried to preach the liberals out of the denominations (Beale 8). I would also add they tried to write them out of the denominations too; the publication of The Fundamentals illustrates this point. The authors hoped The Fundamentals (published 1910-1915) would win over those sitting atop the theological fence and convince the liberals of the error of their ways. This series is viewed as the starting point of fundamentalism as an identifiable movement. It was a series of twelve books, filled with many articles. The authors were mostly fundamentalist Presbyterians and Baptists; the writers were interdenominational in their perspectives. Historic fundamentalism is therefore cross-denominational in scope. After 1930, to the present day, Fundamentalists have instead practiced separation by separating themselves from liberal and apostate churches and denominations (Beale 9). The movement had re-grouped around new leaders. Many familiar organizations and schools today are the result of this practice of Biblical separation, including Westminster Theological Seminary, Grace Theological Seminary, Bob Jones and the GARBC, to name but a very few. Two worlds have crashed, the world of tradition and the world of modernism. The God of the fundamentalist is one God; the God of the modernist is another. The Christ of the fundamentalist is one Christ; the Christ of modernism is another. The Bible of the fundamentalist is one Bible; the Bible of modernism is another. The church, the kingdom, the salvation, the consummation of all things – these are one thing to the fundamentalists and another thing to modernists. But that the issue is clear and that the inherent incompatibility of the two worlds has passed the stage of mutual tolerance is a fact concerning which there hardly seems room for any one to doubt (“Fundamentalism and Modernism” 5-6). 1. Historic fundamentalism has its roots in Biblical separation from clear-cut, apostate, false teaching. 2. Historic fundamentalism evinces a willingness to stand fast and actually fight against false teaching and for Biblical truth. 3. Historic fundamentalism is an inter-denominational movement. It remains to be seen how fundamentalism differs from evangelicalism, and what “false teaching” and secondary separation actually consists of in the context of the fundamentalist movement. We’ll examine these issues in another article. Beale, David O, In Pursuit of Purity: American Fundamentalism Since 1850 (Greenville, SC: BJU, 1986), 3. Marsden, George, Understanding Fundamentalism and Evangelicalism (Grand Rapids: Eerdmans, 1991), 4. McCune, Rolland, Promise Unfulfilled: The Failed Strategy of Modern Evangelicalism (Greenville, SC: Ambassador International, 2004), 16. Morrison, Charles C. “Fundamentalism and Modernism, Two Religions,” The Christian Century (Jan 3, 1924), 5-6. Quoted from McCune, Promise Unfulfilled, 18. Moritz, Fred, “Maranatha is Fundamentalist,” Maranatha Baptist Theological Journal 1:1 (Spring 2011) 46. Pickering, Ernest, The Tragedy of Compromise: The Origin and Impact of the New Evangelicalism (Greenville, SC: BJU, 1994), 1. —————— The Theology of Schleiermacher, ed. George Cross (Chicago, IL: University of Chicago, 1911), 119-120. Emphasis mine. For an excellent summary on this issue, see Ernest Pickering, Biblical Separation: The Struggle for a Pure Church (Schaumberg, IL: Regular Baptist Press, 1979), 93-111, or McCune, Promise Unfulfilled, 3-26.